Homeopathy is a system of holistic (full body) medicine created by German physician Samuel Hahnemann in 1796. Considered a form of alternative medicine, homeopathic treatment is based on the belief that substances creating symptoms of a disease in healthy people can be used to cure similar symptoms in sick people (a “like cures like” or “similia similibus curentur” mentality officially called the Law of Similars). Homeopathy is used to treat acute illnesses like the cold and flu, migraine headaches, sore throats and ear infections, and it can also be used to treat chronic conditions like arthritis, eczema and depression. A 2012 National Health Interview Survey (NHIS) estimated that about 5 million Americans turn to homeopathic remedies annually. 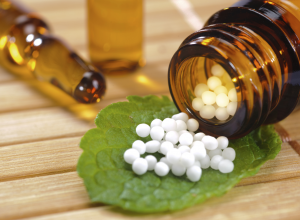 How Is Homeopathy Different From Traditional Medicine? Conventional medicine often aims to cure symptoms with medication without addressing the underlying cause of why the person has the symptoms or disease in the first place. Homeopathy aims to cure symptoms as well as rid the body of the underlying cause of those symptoms. Rather than mask or suppress the symptoms with medication that often causes side effects (which conventional medication is thought to do), homeopathy aims to support the symptoms without side effects and also help the body restore natural balance. This is said to free the patient from needing future medication for the problem — conventional or homeopathic. Initial examinations with homeopathic doctors usually include questions about the symptoms as well as general questions about the patient’s lifestyle, mentality and spirituality. The practitioner will then create a unique preparation to cure the patient based on his or her individual answers, which is why two patients with similar symptoms or illnesses may receive two very different homeopathic remedies. Homeopathy shares principles with Traditional Chinese Medicine (TCM), but the two are not the same thing. All homeopathic preparations are made from natural, non-toxic sources (plants, minerals and animals), and they follow the law of infinitesimal doses, which states that when drugs are diluted in water or alcohol, they increase in therapeutic potency. Therefore, homeopathic medicines are actually extremely diluted versions of substances that cause the symptoms found in each patient (usually a dilution of 1:100 repeated several times). For example, Hahnemann found that cinchona bark, which contains quinine (the drug used to treat malaria), actually develops the symptoms of malaria. He believed that extremely diluted solutions of cinchona bark could cure the symptoms of malaria. Another example, according to the National Center for Homeopathy (NCH), is when a person peels an onion. Sometimes the activity causes coughing, sneezing and watery, itchy eyes. People with colds and flus that cause similar symptoms would be given the homeopathic preparation of Allium cepa (red onion), which homeopaths believe could cure the symptoms of the cold. Homeopathic medications are usually formulated into sugar pellets that are placed under the tongue. They can also be in other forms like drops, creams and gels. Critics argue that the substances are so diluted, patients get little more than sugar. Homeopathic experts claim that the method is gentle, natural and safe for both humans and animals. In fact, it is said that because homeopathic remedies are devoid of chemical toxicity, even pregnant women, newborns and children can use homeopathic remedies. However, according to the National Center for Complementary and Integrative Health (NCCIH), though many people assume that homeopathic remedies aren’t harmful because they’re highly diluted, some actually contain high amounts of the active ingredients and have the potential to cause side effects and drug interactions. It is important to note that while the U.S. Food and Drug Administration (FDA) regulates homeopathic remedies, it does not evaluate the remedies for safety or effectiveness. Is Homeopathy Effective? Or Is It Considered Quakery? Though homeopathy is still widely used today, numerous studies have shown that homeopathic medicines don’t really cure ailments but rather act similarly to placebo pills: Any improvement is due to a placebo effect, in which a person believes they are cured and therefore begin to feel better. Many medical experts argue that homeopathy is a pseudoscience that runs contrary to modern science and actually has the ability to harm or even kill people who rely on the practice and do not seek traditional medical help for serious ailments. In April of 2015, the Center for Inquiry (CFI), the Committee for Skeptical Inquiry (CSI) and other organizations presented testimonials to the FDA hoping to show that the practice is harmful to the general public. The groups argued that homeopathic products should meet the same standards as non-homeopathic drugs. Furthermore, a 2015 comprehensive assessment of evidence by the National Health and Medical Research Council in Australia concluded that there is no reliable evidence that homeopathy is an effective way to treat health conditions. Discover the benefits of hydrotherapy, a treatment that uses hot and cold water to stimulate healing. 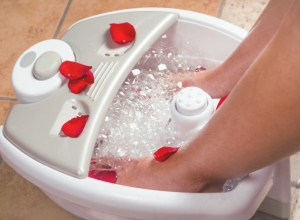 Find out what to look for when buying at-home foot massagers.